LJMU's Legal Practice Course produces highly skilled, commercially aware and effective Trainee Solicitors, prepared for the demands of a Training Contract. The School of Law is dedicated to enabling its students to become highly effective trainee solicitors through our well respected Legal Practice Course (LPC). As an LPC student, you will join an established professional legal network and continue your professional development with experts across a variety of legal fields. The opportunity to combine the study of legal practice to meet Solicitors Regulation Authority requirements with the creation of a dissertation reflecting extensive research into your chosen area of law will enhance your personal development and your chances of securing employment within a very competitive legal profession. The Solicitors Regulation Authority is proposing to change the route individuals must take to qualify as a solicitor. The proposal is to create a new national assessment in two parts, covering elements of the current qualifying law degree (QLD) and the current LPC. That assessment will be implemented nationally in 2020 and will stand alone; students will then have to decide how they will undertake the vast amount of learning required to pass the assessment. Higher Education Institutions and private providers are currently planning how they will develop learning programmes to support the new assessment. The School of Law has over 25 years’ experience delivering academic and vocational courses in Law, making us ideally placed to deliver high quality learning opportunities aimed at meeting the new assessment criteria. Our LPC has run since 1994 and more than 1100 of our graduates have embarked on successful careers within the legal profession. Many have joined our established employer network and keep in touch with us via Facebook. When you join our LPC you join an established community of legal professionals. We provide extensive networking and work-placement opportunities, including enhanced work experience via our Solicitor Mentor Scheme and voluntary legal case work as part of the School of Law's Legal Advice Centre. The dissertation element of the course provides the opportunity to enhance your career prospects through acquiring vocationally relevant knowledge. It will enable you to make a significant and measurable contribution to the body of legal knowledge in your chosen subject. 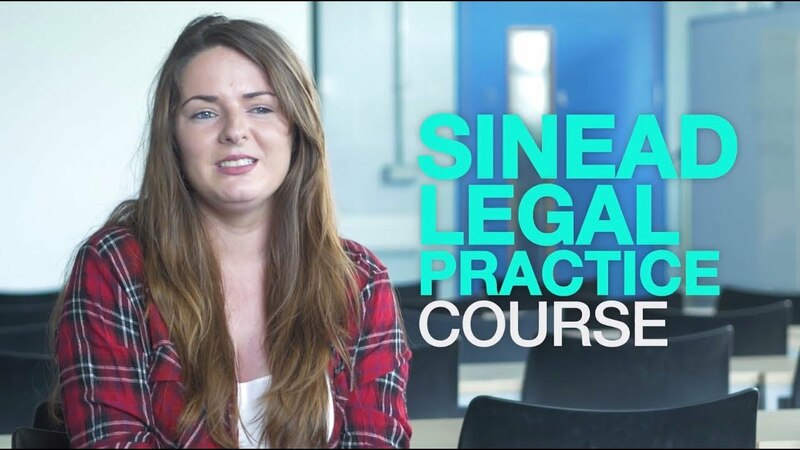 With an undergraduate degree in Geography from Edge Hill, Sinead studied for her Graduate Diploma in Law at LJMU and is now embarking on her Legal Practice Course. The Hodgson Law Scholarship was made possible through the generosity of Elizabeth Hodgson, widow of Liverpool Solicitor Joseph Hodgson, who wanted to advance the education and training of lawyers working for the benefit of Merseyside. Hodgson Law Scholars benefit from a Liverpool-based education. The scholarship aims to encourage the intellectual growth of promising law students and the nurturing of close links with the City of Liverpool and the Liverpool City Region. Simply complete and submit the application form electronically to Alison Lui at LJMU. The Rice-Jones Charitable Trust was set up by an individual who wanted to benefit postgraduate law students studying in the North-West of England. The lady’s late husband and her father were both lawyers. This has inspired her to help students who show academic promise and a commitment to the legal profession, yet who may not have the financial support to undertake their studies. The The Rice-Jones Charitable Trust is registered with the Charity Commission: charity 117189. View the full details. The Rice-Jones Scholarship will be offered to applicants who have accepted a place to study on a postgraduate law course including, but not limited to, the Graduate Diploma in Law, the Legal Practice Course, the Bar Professional Training Course or the Masters in Law. For all 2019/20 applications, each award will total between £250 and £1500 towards study expenses. Awards granted will depend on the applications received. The deadline for applications is 1 May 2019. Download your application form and view the terms and conditions. The LPC is a prescribed stage in qualification as a solicitor in England and Wales. There are a very broad range of opportunities for employment within the legal profession. In 2018 there are over 142,000 practising solicitors and the Law Society Gazette currently has over 4800 vacancies listed. Students often worry whether they will find a training contract which will enable them to complete their qualification. The good news for students at LJMU is that, outside of London, the greatest number of training contracts are offered in the North West. It is also the case that the skills you develop and demonstrate during your LPC are transferable to many different roles. Nationally, LPC graduates have been recruited into various careers including: banking and finance, civil service, editorial roles, insurance, and management roles in industry and retail. The building blocks of your LPC LLM degree. Please see guidance below on core and option modules for further information on what you will study. The core options (stage 1) are prescribed by the SRA and students are required to pass three elective option modules as part of the LPC. This module is designed to equip students for work in a solicitors' practice in the fields of civil and criminal litigation, and to identify the critical steps in the process of Page 2 of 3 litigation. Prepares you for practice in property law in the context of domestic and commercial transactions and freehold and leasehold property. Provides opportunities for you to develop a thorough and critical understanding of the skills that underpin the practice of law at a professional level. You will work on oral legal skills including Advocacy, and written legal skills including drafting and writing. This will be in a variety of legal contexts, including Wills and Administration of Estates (Probate). Enables you to identify and act in accordance with the core duties of professional conduct, professional ethics and the Solicitors' Accounts Rules. Develops and enhances your existing knowledge of procedure and practice obtained during the Criminal Litigation course completed in Stage 1. Provides the relevant knowledge, skills and procedure to deal with the main areas of personal injury practice including clinical negligence, disease, and fatal accident. Prepares you for practice in understanding a commercial property transaction from site acquisition to letting and tenant default, by examining in detail the sequential series of steps in a commercial property transaction – excluding legal acquisition. Provides you with substantive knowledge and practical application in the foundation and operation of contracts of employment, employment protection rights, discrimination issues and commercial realities from both an employee's and employer's perspective. Prepares you for practice in family work to enable you to acquire the relevant knowledge and skills relevant to this area. Develops a sound understanding of General Commercial Law and Practice, in the context of Mergers and Acquisitions, using primary source materials, sale and purchase-related documents and other relevant agreements/documents. Covers the rights, responsibilities and remedies of residential tenants and their landlords, duties of local authorities and claims for possession against residential borrowers by secured lenders. Introduces you to a range of matters you may encounter within a Private Client department, including: developing skills of fact analysis; identification of legal issues and client goals; research; problem solving and advising; presentational skills; planning and drafting of wills. Students will study research methodologies during their LPC studies and submit a research proposal in March. They will focus on their dissertation once they have completed the LPC option examinations in June. The course does not follow the standard University calendar and runs from the beginning of September until June with only two weeks holiday at Christmas and two weeks at Easter/Spring Holiday. The part-time course is offered in day release or evening modes. You will attend all day Tuesday in year 1 and all day Wednesday in year 2, or Tuesday and Wednesday evenings in both years. Much of the course is taught through small group skills-based teaching (maximum group size 20), supplemented with large group sessions, directed reading and self-study exercises and preparation. Considerable emphasis is placed on practice and you will acquire a range of essential lawyers’ skills by carrying out realistic transaction-based tasks. Our academic team have designed your assessed work around the needs of the legal profession to ensure that you fulfil your potential at this important stage of your development. The form of assessment for the LPC element of the course is prescribed by the SRA and must be supervised. This means that core and option subjects are largely assessed by open-book examinations. Skills are assessed by way of coursework for drafting, practical legal research and writing, or by live role play assessment for advocacy and interviewing and advising. The LLM assessment is in two parts. An initial 2000 word research proposal followed by a 10,000 word dissertation. A principal lecturer at LJMU's Law School, Fiona is the programme leader for the LPC. She is module leader for the Criminal Litigation module on the LPC and teaches Advocacy, Criminal Litigation, Family Law and Practice and Legal Research modules on the LPC. She also teaches Criminal Law, Family Law and Legal Research on the GDL and Independent Learning in Law, Family and Media Law on the LLB. 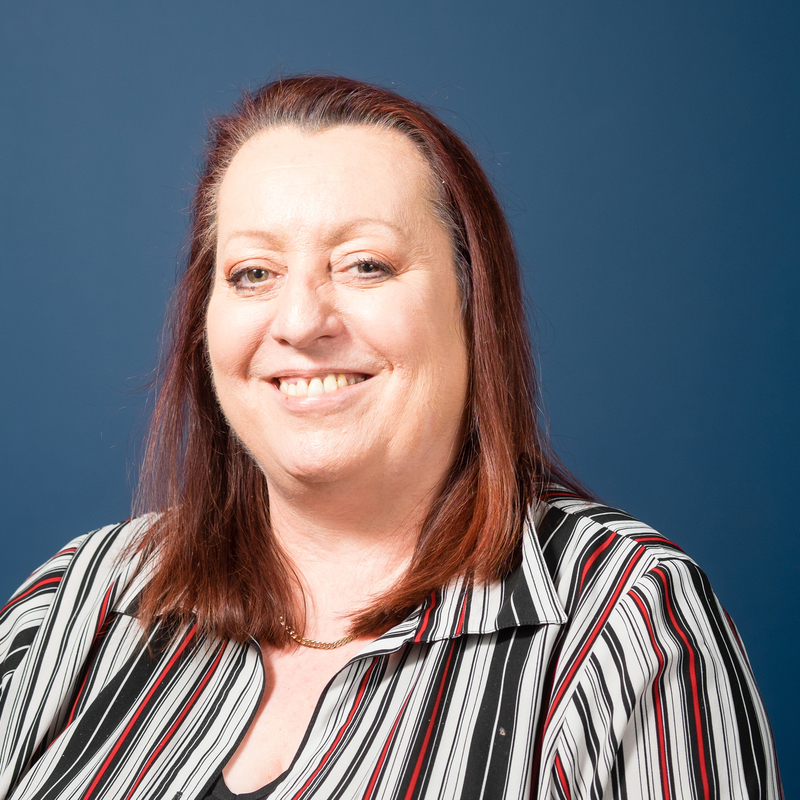 Fiona formerly worked as criminal defence and family lawyer in Merseyside, Cheshire and the Thames Valley and as a consultant trainer with Merseyside Police, delivering training on courtroom skills and human rights. A member of Liverpool Law Society, Fiona has taught on the LPC since January 1995 and is proud to have contributed to the academic development of more than 1000 lawyers during her career to date at LJMU. The School of Law offers a stimulating and rewarding environment for postgraduate study. The School is based in the Redmonds Building, in the heart of the bustling Mount Pleasant Campus and Liverpool’s growing Knowledge Quarter. Redmonds is shared by three Schools within the Faculty of Arts, Professional and Social Studies – Liverpool Screen School and the School of Law - and Liverpool Business School, making for a rich blend of student learning experiences. The building is home to high quality lecture theatres and seminar rooms, social spaces, and a café. It is only a short walk from LJMU’s Aldham Robarts Library, which contains all the resources you will require for your studies, and is open 24 hours a day, seven days a week.